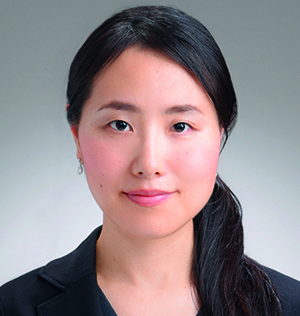 This is a prime moment for Japan's PR industry to redefine its role as arbiter and communicator, says APCO Worldwide's Seiko Indo. 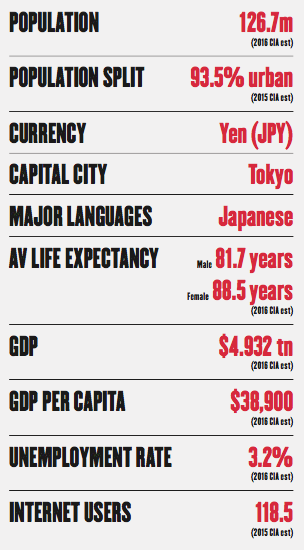 Among its many achievements, Japan is a foremost provider of alarming demographic statistics. The latest of these shows that its population has fallen by 308,084 in the past year alone. By 2065, Japan’s population is predicted to have declined by 30 per cent, with one in 2.6 people over the age of 65. The proportion of working-age people to every pensioner, or the "dependency ratio", will fall from 2.3 to 1.3. This is Japan’s greatest challenge. The need to do more with less makes the balancing of interests complex. Japan must find a middle ground between maintaining its universal care system and servicing the growing medical needs of its ageing population; promote economic growth with a shrinking labour force; and continue to provide equal access to public services as rural depopulation continues. Breaking away from a somewhat monolithic system, the future must be negotiated with numerous and diverse stakeholders. The 2017 annual growth strategy, or "Future Investment Strategy", provides a glimpse of the future. It talks of harnessing the drones, robots and cloud-based, big-data platforms of Industry 4.0 to realise Japan’s vision of a super-smart "Society 5.0", where goods and services are provided to the right people at the right time, in the right amount. Industry will be driven by a more global and mobile workforce. Amid a shrinking domestic market, Japan will seek to secure EPA/FTAs with more than 100 countries and regions. The target date for many of these initiatives is the 2020 Tokyo Olympics. The severity of the challenge presents an opportunity for companies to be part of the solution. Business can help policymakers forge paths into the unexplored future and translate policy goals into regulation (or de-regulation), technology requirements, incentives and playbooks. Unlike some markets, policy engagement in Japan is is a new development, which has gained prominence as issues have become more global, cross-sectoral and technical. 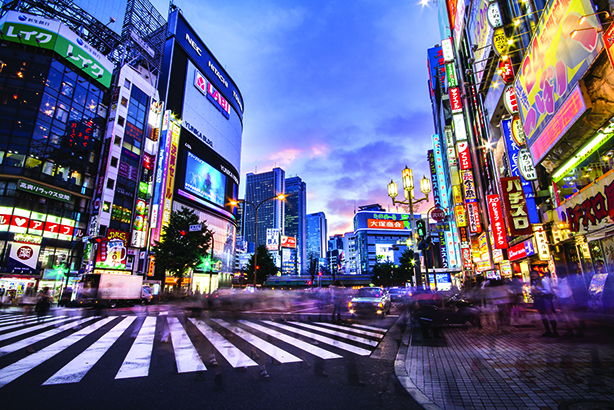 Policy makers need to tap into the private sector to bring Japan’s strategy to life, and the businesses set to succeed are those driving transition. There are challenges. A dynamic trade environment and geopolitical uncertainty threaten to derail even the best-laid plans. Despite the urgent need for change, Japan also remains relatively conservative, committed to rules and deliberation. Younger generations are outnumbered and politically disengaged, while the baby boomers will continue to account for the majority of the electorate. It can be easier to cater to the elderly, hence the use of the phrase "silver democracy" to describe Japanese politics. The media will play a significant role in consensus-building on the future of Japan, with controlled, yet exclusive, access to information through the "press clubs" that sit in government agencies and business associations. Newspapers are well read in Japan; the conservative Yomiuri has a circulation of more than nine million. However, while 79 per cent of those over 70 read a newspaper daily, just 18 per cent of those under 50 do so. Younger readers prefer to go online, a move publishers have been slow to address. Instead, there is a heavy reliance (43 per cent) on aggregators to access news, leaving an audience susceptible to filter bubbles. At this time of change, proponents of "future investment" must balance diverse stakeholder interests, negotiate generational disparity and navigate an evolving media environment. 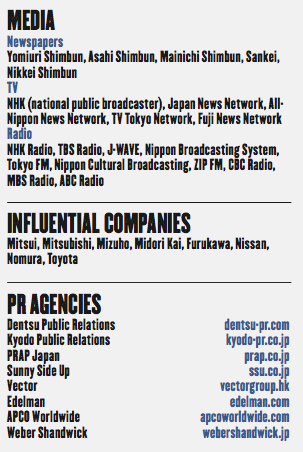 This is a prime moment for Japan’s PR industry to redefine its role as arbiter and communicator.